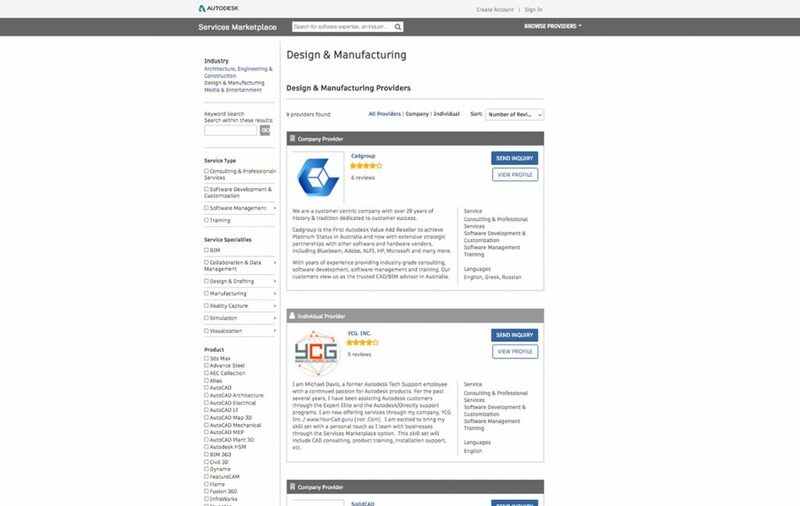 Many of our customers regularly need help beyond the tech support available through Autodesk subscription. Some of them are looking for help with customized training, hands-on assistance, support with workflow optimization or general technology services. We also know that they are determined, sometimes spending more than eight minutes on the Autodesk Knowledge Network looking for answers. The good news is that a new level of expert help is here. 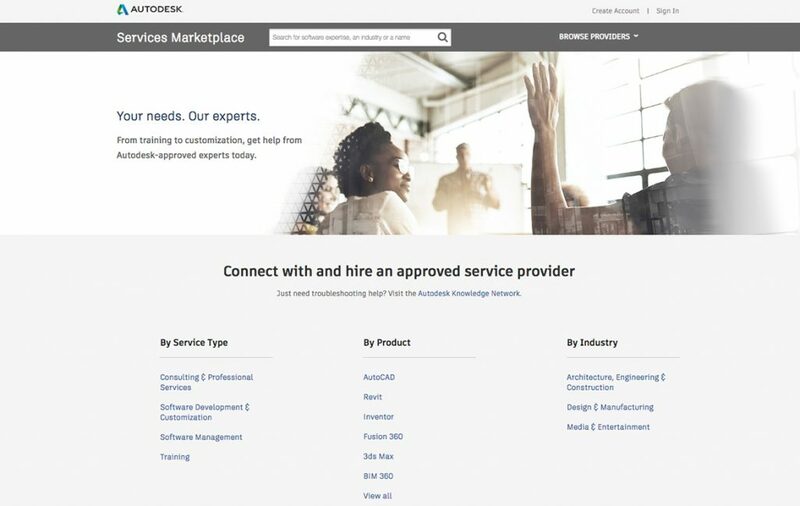 I’m excited to share that Autodesk Services Marketplace is growing. In addition to customers in Architecture, Engineering & Construction (AEC), our Design & Manufacturing (D&M) and Media & Entertainment (M&E) customers can now also get the help they need from approved experts. Customer: Rina Sahay, Architectural technician, Paradigm Design, and content contributor on Autodesk Revit and AutoCAD Forums. 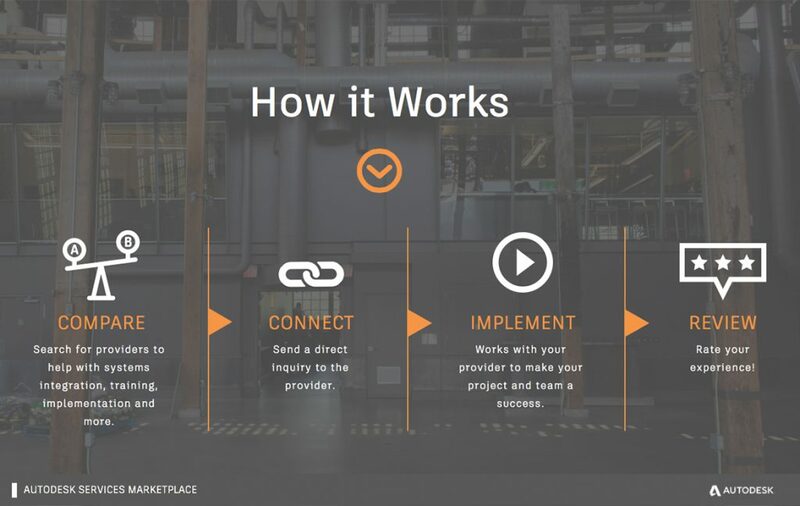 The Services Marketplace connects customers looking to hire help from professional third-party service providers, offering choice, convenience and local help in one place. Once a customer selects a provider based on industry, product, location, or type of service needed, the scheduling, payment, and terms of the project stay directly between the customer and the service provider. We evaluate and vet the providers to ensure they meet program requirements. We also build and maintain a customer-friendly interface where information about providers can be compared and a connection can be made. The Services Marketplace platform operates in English; however, services are offered in other languages by providers in North America, Europe, Australia, and New Zealand. The providers include specialized platinum and gold partners in AEC, D&M, and M&E, as well as qualified Autodesk Expert Elites and other industry consultants. Customers, we have your back!